Inspired by the the sparkling jewel of Italy’s Amalfi coast, this Amalfi Nights shawl exudes the charm, sophistication and style of Italy. 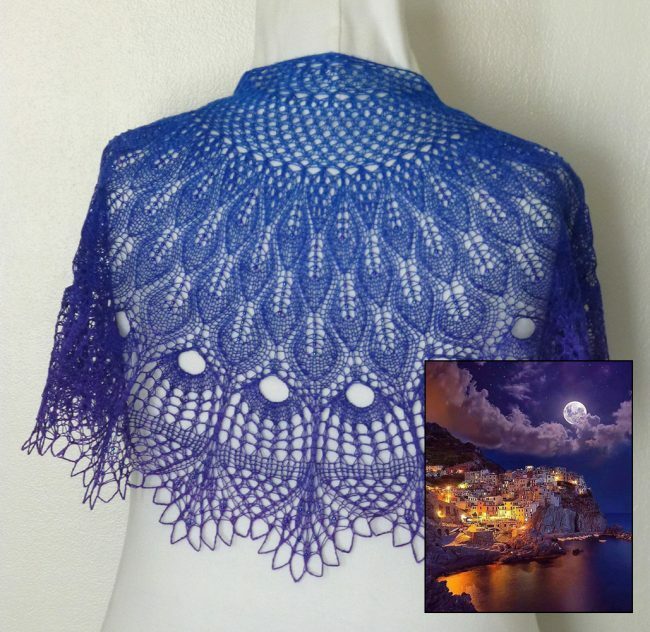 It’s intricate lacework pattern, silky sheen and sparkling beadwork all combine to fashion this vibrant Amalfi Nights shawl. Add to that the gorgeous royal blue to purple gradient color, and you have yourself a stunning accessory that works for every occasion. 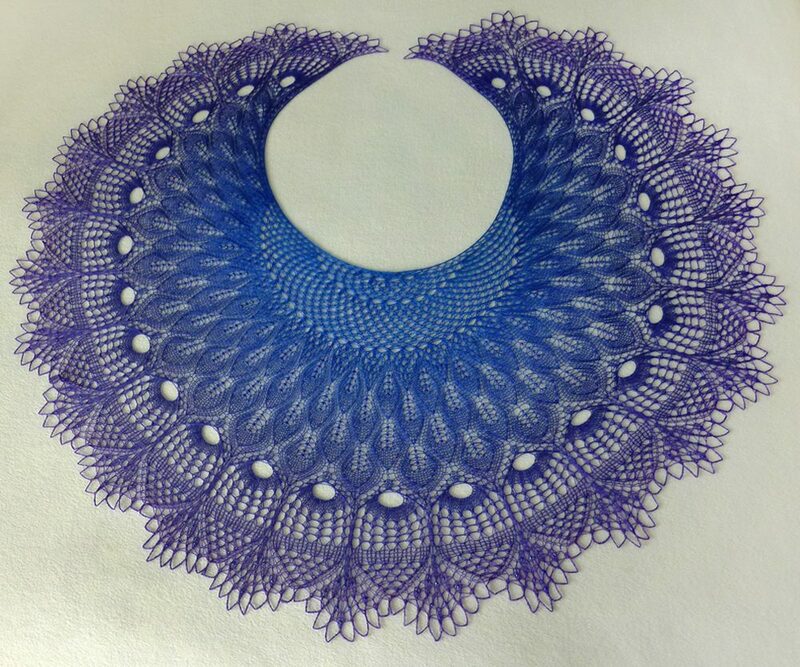 First time knitting this Renaissance Shawl by Anne-Lise Maigaard and it won’t be my last. 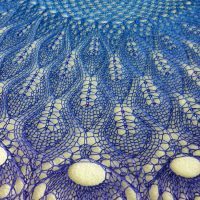 I loved knitting this project and am very pleased with the outcome. 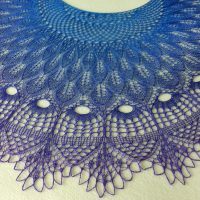 The colorway is so beautiful and seems to be made just for this pattern. Measures 38″ wide by 18″ long. 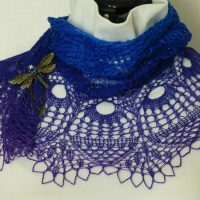 This shawl is for sale at my Needle ‘n Purls store. 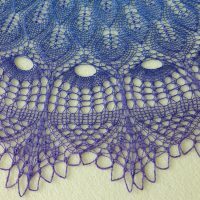 **Special thanks to Anne-Lise Maigaard (Renaissance shawl) for creating such a lovely pattern and VioletLynx Yarns for creating such beautiful yarn.